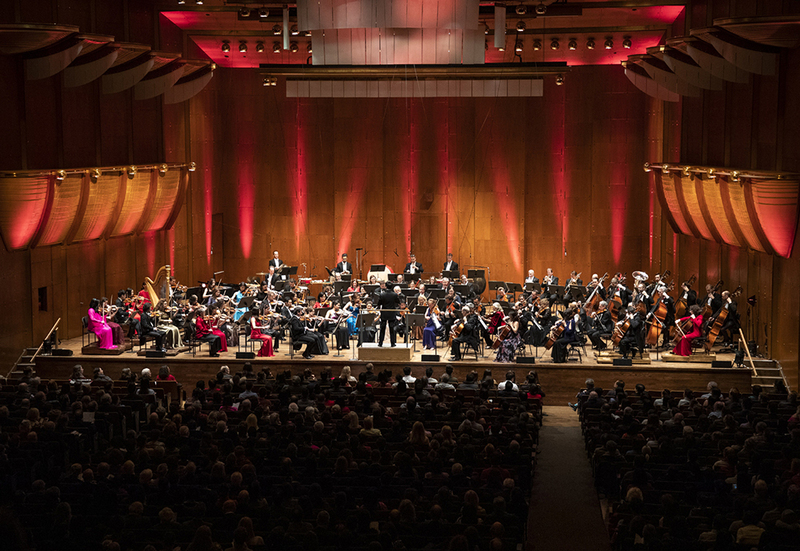 The New York Philharmonic on Wednesday presented its eighth edition of Lunar New Year concert, featuring the U.S. premiere of Chinese composer Tan Dun's violin concerto Fire Ritual. 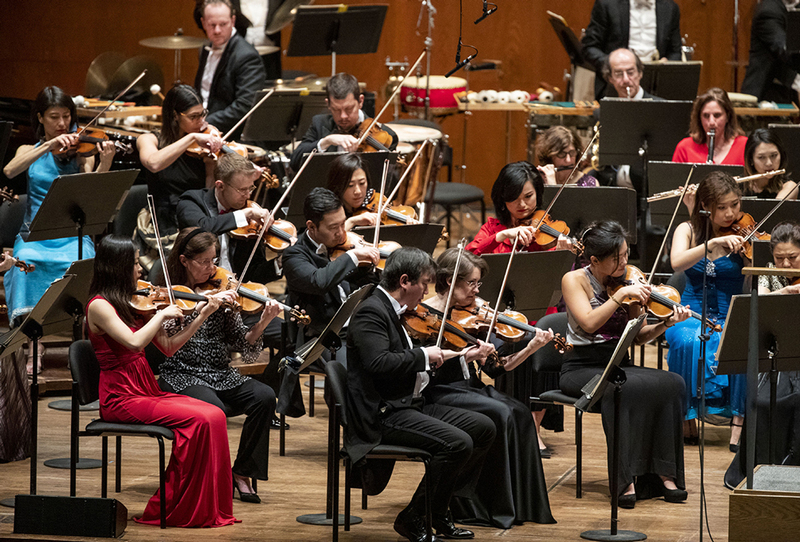 Opening the celebration with Spring Festival Overture, a well-known piece in China, the orchestra instantly kindled an air of festivity in the David Geffen Hall at Lincoln Center, as audience, mostly from local Chinese community, started to nod and hum the jubilant melodies. 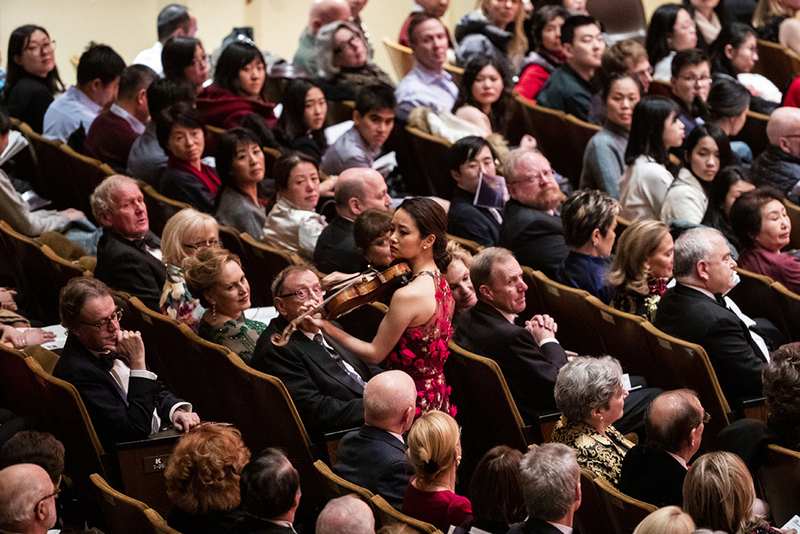 South Korean violinist Bomsori Kim then entered the stage from among the audience, playing the core role as a oracle in Fire Ritual, a violin concerto created by Oscar Winner Tan Dun. Fire Ritual is deeply influenced by worship music and court music in ancient China, while blending western and modern musical elements. Hand cymbals, resembling those in Peking Opera, were seamlessly merged with a Baroque violin ensemble, and the sound of bird chirping echoed the hymns of human beings, creating dialogue between mankind and nature. Various non-musical objects, as a signature style of Tan, were used to imitate certain sounds. For example, the orchestra repeatedly turned pages of their scores to create the sound of wind. Singaporean conductor Kahchun Wong led the orchestra for the first time. He turned himself into a Shaman in the ritual with rich body languages, adding to a sense of immersive theatrical experience for some 2,700 spectators, who gave a standing ovation when the piece concluded. Wong in 2016 became the first Asian to win the prestigious international Gustav Mahler Conducting Competition for young conductors held in Germany. 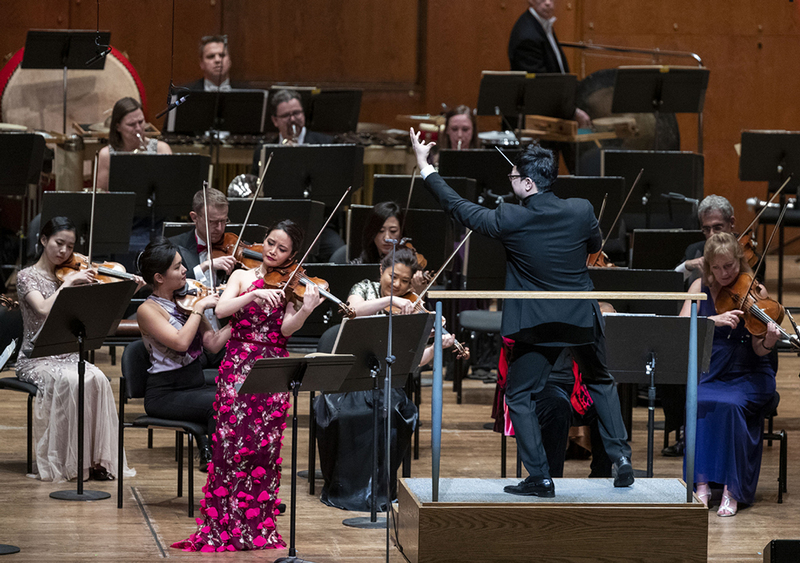 Other programs during the night included an adapted version of Korean folk song Arirang, and Mozart's Der Holle Rache from The Magic Flute, both performed by South Korean soprano So Young Park as her Philharmonic debut. "It's a brand-new experience for us," said Zheng, one of the audience who came with his family. "We're attracted by the unique and novel style of Tan Dun." 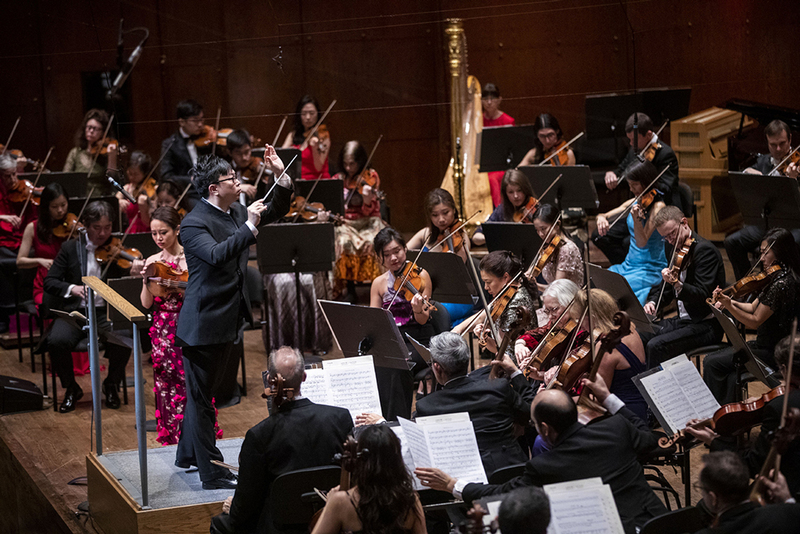 Having celebrated the Lunar New Year for eight years, the New York Philharmonic intends to "continue it pretty much indefinitely" because both locals and Chinese people here love it, Bill Thomas, executive director of the orchestra, told Xinhua. "Music is a universal language. We always hope what we do will help a broad world community, including the relationship between our two nations," he said. 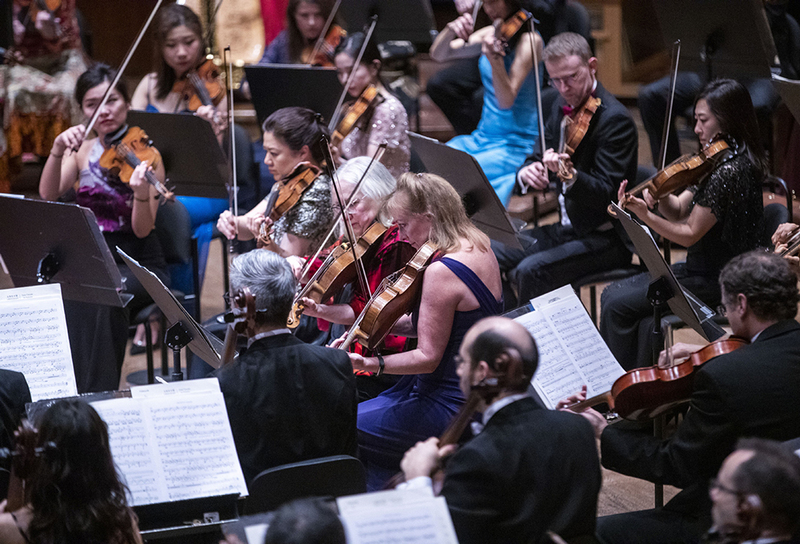 He also noted that Chinese and Asian audience of classical music have increased substantially in recent years, and that the orchestra now travels regularly to China's Shanghai in summer. "We like to perform in China as often as possible," he added.